How to watch Pokémon the Series: XYZ: Season 1 (2016) on Netflix Philippines! Yes, Pokémon the Series: XYZ: Season 1 is now available on Philippine Netflix. It arrived for online streaming on April 15, 2019. We'll keep checking Netflix Philippines for Pokémon the Series: XYZ: Season 1, and this page will be updated with any changes. 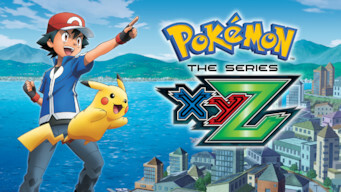 Season 1 of Pokémon the Series: XYZ has 42 episodes. Because different Netflix countries have different availability for episodes, you'll need to check the episode listing below to see which are available in the Philippines. 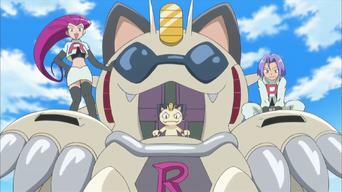 After learning that Squishy may be a new kind of Pokémon, Team Rocket hatches a plan. Meanwhile, Eevee acquires a new admirer. 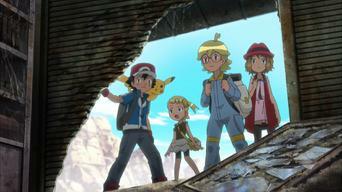 Ash and company help a woman trapped in a crevice, then accompany her to the Pokémon Center for a meeting with Professor Sycamore. While adventuring in the wilderness, Ash and company keep watch over a young Litleo going through a difficult rite of passage. After enjoying a meteor shower with his pals, a thirsty Pikachu wakes to find himself in the midst of a most unusual adventure. 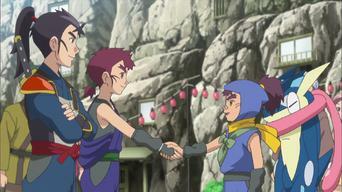 Sanpei invites Ash and his friend to visit Ninja Village. Little do the heroes know, they may be walking right into a trap. The gang's friend Sanpei and his brothers set out to free their kidnapped chief, and Ash's Frogadier helps the battle in an unexpected way. With the Couriway Pokémon Showcase on everyone's mind, Serena prepares to compete, and her friend Nini makes a surprising revelation. 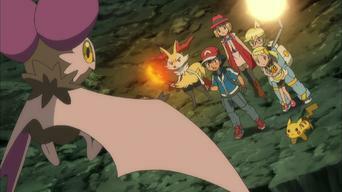 Ash and his friends investigate Terminus Cave. But when Squishy runs off, Team Flare descends and a fearsome battle ensues. 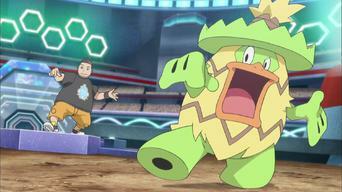 As the gang continues to look for the missing Squishy, they accidentally anger some Toxicroak. Meanwhile, Bonnie searches for a healing plant. 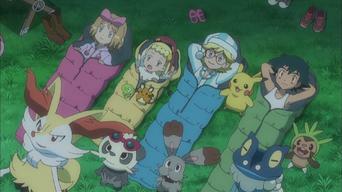 When Ash and his friends stop to have tea in a meadow, Noibat is poisoned by an angry Breloom. The gang will have to rely on an unconventional cure. 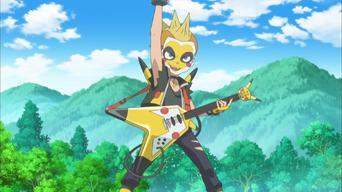 An upcoming Pokémon Performers dance party has everyone wondering who to bring as dates. But no good party goes exactly as planned. Ash meets up with Sawyer, who is eager to improve his skills. While the two battle, a mysterious newcomer watches from the sidelines. 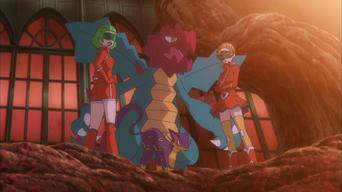 Team Flare and Team Rocket battle over a Pokémon that looks a lot like Squishy. Meanwhile, Bonnie bonds with the real Squishy on a camping trip. 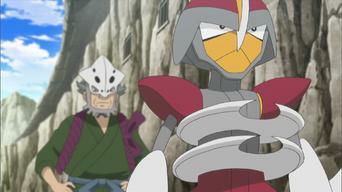 Ash and his friends meet an old-fashioned robot named Robon and try to assist it in its mission to regrow a depleted forest. Ash and company travel to Fleurrh City, where Serena will compete for her third Princess Key and -- perhaps -- qualify for the Master Class. 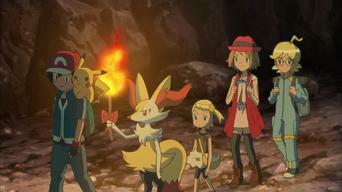 Ash and his friends meet an injured paramedic while traveling to a festival to honor the Pokémon Zapdos, who seems anything but happy. 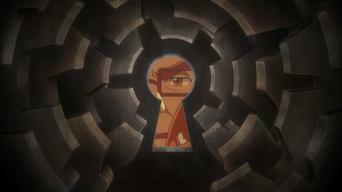 A gem exhibition is canceled when Master Thief Keyes picks the lock. Later, when a disaster strikes, old grudges are finally revealed. As the highly anticipated Pokémon Showcase Master Class gets underway, Serena competes against dear friends and bitter rivals. The moment she's been waiting for has finally arrived! 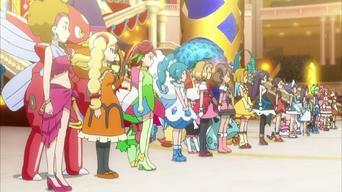 As a huge audience looks on, Serena challenges Aria to become the future Kalos Queen. Bonnie thinks she may have found the perfect partner for Clemont, but a sudden visit from Team Rocket may put the new relationship on ice. 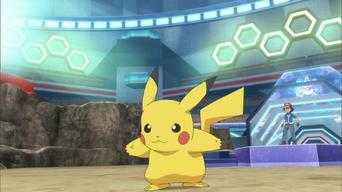 Jimmy and his punk Pikachu, Spike, challenge Ash to a battle. 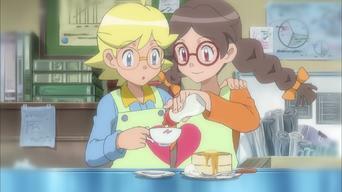 But there's a problem: Ash is too ill to fight, so Serena dons a disguise. 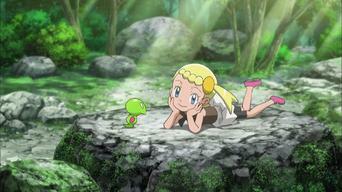 Clemont examines Ash and his Greninja. 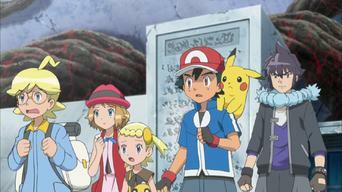 Also, Alain pays a visit to the Pokémon Center, and Ash comes to a realization about himself. Team Rocket comes under attack after making a delicious discovery. 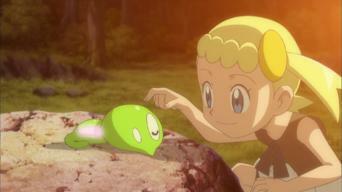 Meanwhile, Ash and company meet a curious new friend. 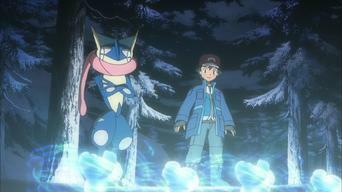 As Ash and his friends hike on to Snowbelle City, they encounter Diantha. 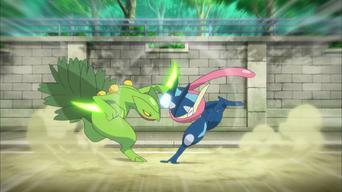 A battle ensues, and the bond between Ash and Greninja is tested. As they soldier on to Snowbelle City, the gang crosses paths with their pal Sawyer, who's eager to show off what he can do in battle. The group arrives in Snowbelle City. 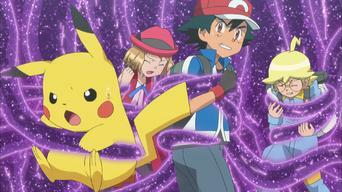 Ash can't wait to take a crack at winning his final badge, but these battles won't be easy. 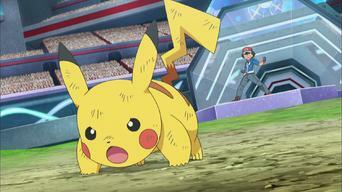 After his disappointing loss, Ash runs off to be by himself. It's up to his friends to get Ash out of his funk and back to his old self. 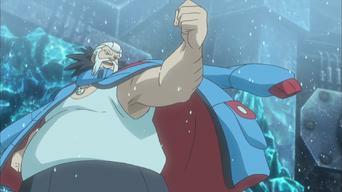 Determined to defeat Wulfric, Ash returns to Snowbelle City and summons all his abilities in an attempt to qualify for the Kalos League. 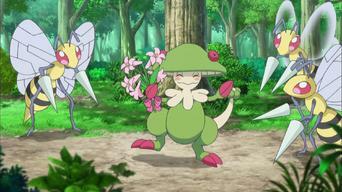 While traveling to Lumiose City, Ash and company stop to visit Goodra. 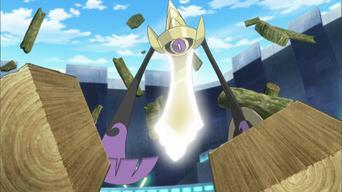 The reunion is short-lived when a Carbink stirs up trouble. Ash and his friends stop by the Gadget Festival, where Clemont is especially excited to check out the ingenious inventions. 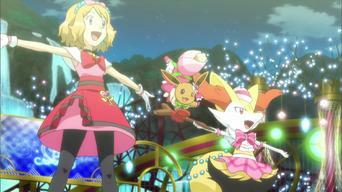 Upon arriving in Lumiose City for the Kalos League, the gang meet up with fellow trainers. Ash is pestered by a persistent challenger. 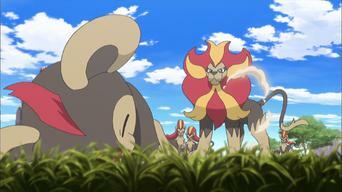 Sawyer and Tierno face off at Kalos League for a chance at the semifinals. A secret weapon emerges in the midst of battle. 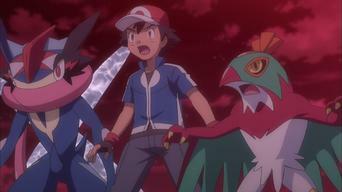 Bitter rivals Alain and Remo battle in the Kalos League semifinals, while Ash takes on Sawyer for a shot at the winner. Ash and Sawyer continue their battle, with both trainers utilizing clever strategies and maneuvers, until only one is left victorious. 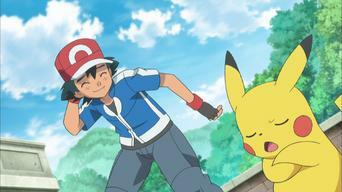 With the Kalos League finals on the horizon, Ash and Alain go about training for battle. 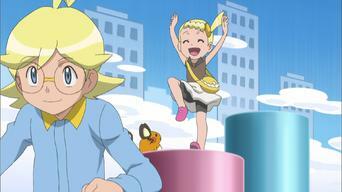 Meanwhile, Clemont’s wayward Chespin gets lost. 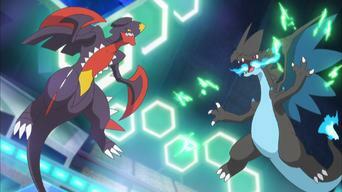 The Kalos League finals get under way as Ash and Alain engage in a brutal six-on-six battle. Both competitors give it all they've got. 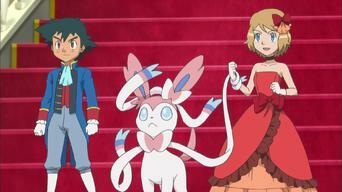 The Kalos League finals continue. 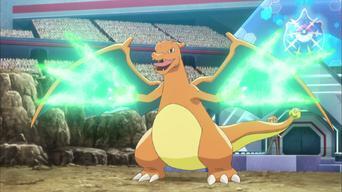 As Ash and Alain battle it out, Team Flare hatches a scheme that could turn the contest upside down. 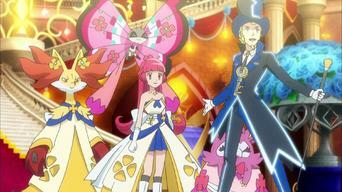 The Kalos League awards presentation is cut short when disaster strikes Lumiose City. 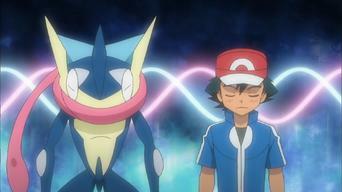 In the aftermath, Ash learns a shocking truth. 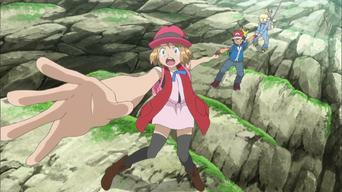 Ash remains in captivity, but Clemont and his friends are intent on freeing him and putting a stop to Team Flare's sinister plan. 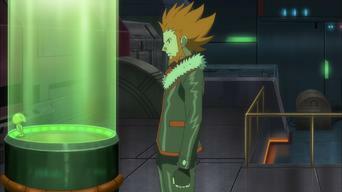 Ash and Alain continue to fight back against Lysandre, Bonnie confronts Zygarde, and Clemont enters Prism Tower with hopes of defeating Xerosic. With Team Flare's defeat still fresh, Ash and company continue to come to terms with the battle's aftermath. Meanwhile, a new threat emerges.